When Super Swimmers Foundation founder Julie Gross says “Until the Whole World Swims”, she means it whole-heartedly. In her eyes there is no one person who does not have the ability to learn to swim. It is through patience and love that Julie and her foundation supporters enable children with autism or other special needs to learn how to swim safely and successfully in the water. When a person speaks to Julie about what the Super Swimmers Foundation is you hear hope, love and encouragement spill from her words. Her desire to create a super center where education and fitness are combined is becoming a reality. She explains that she and her crew see the beneficial side effects of swimming on a daily basis. They see how through swimming many of her young students with autism are breaking through communication barriers as the body and mind connect through movement in the water. She excitedly explains how the combination of moving the arms and legs works both sides of the brain creating stimulation that actually wakes up the mind. Scientific researchers are just now tapping into the knowledge of how physical activity can actually cause the brain to create new neurons and actually cause the brain to repair damaged areas due to chemical creation in the brain that begins with muscle contraction. Julie and her swim crew are always learning more about autism and other special needs disorders in order to be able to provide support for both the parents and children that face challenges each and every day. 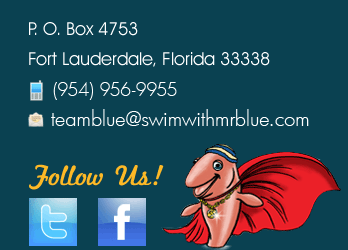 For more information about a charitablefoundationfor autism swim education, view our additional articles.